Russian markets are likely to open higher Tuesday amid eased concerns over debt-troubled Europe, while investors are also keeping an eye on the upcoming address of the US Federal Reserve chief Ben Bernanke. 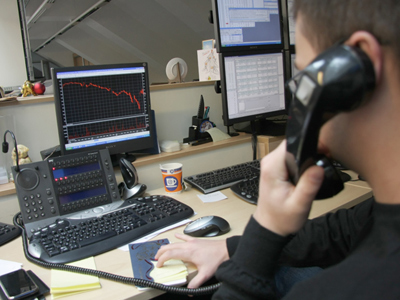 ­Russian trades finished on the positive territory Monday amid positive news from Europe. The MICEX added 1.25% and the RTS advanced 2.4%. European stocks rallied Monday, closing on a four-month high after German Chancellor Angela Merkel’s government said it supported the ECB’s bond-purchasing program in order to lower borrowing costs for Spain and Italy. The Stoxx Europe 600 rose 0.5%. Spain’s IBEX 35 jumped 4.4% and the Italian FTSE MIB advanced 1.5%. US markets rose Monday as concerns on the European debt crisis eased after Angela Merkel’s announcement. Better-than-expected earning reports from Best Buy and Regions Financial also supported the indices. 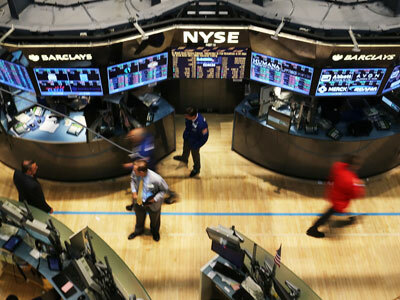 The Dow Jones and the S&P 500 both rose 0.2%, while the Nasdaq advanced 0.7%. Asian stocks advanced Tuesday, amid fresh hopes that European authorities would brace up to support the region’s weaker economies. The Japanese Nikkei advanced 0.7%. Australia’s S&P/ASX 200 climbed 0.4% and Hong Kong’s Hang Seng rose 0.3%. Meanwhile South Korea’s Kospi inched 0.1% and the Shanghai Composite traded flat.